It took awhile but I due to some nudging by a user on androidforums, I decided to work out the issues with / and bring up recovery for codinalte. Ever since ClockworkMod was discontinued and critical GGL Pixel format for codinalte (RGB_565) was not supported in most recoveries since Lollipop was introduced, I've been reluctant to tackle these problems. 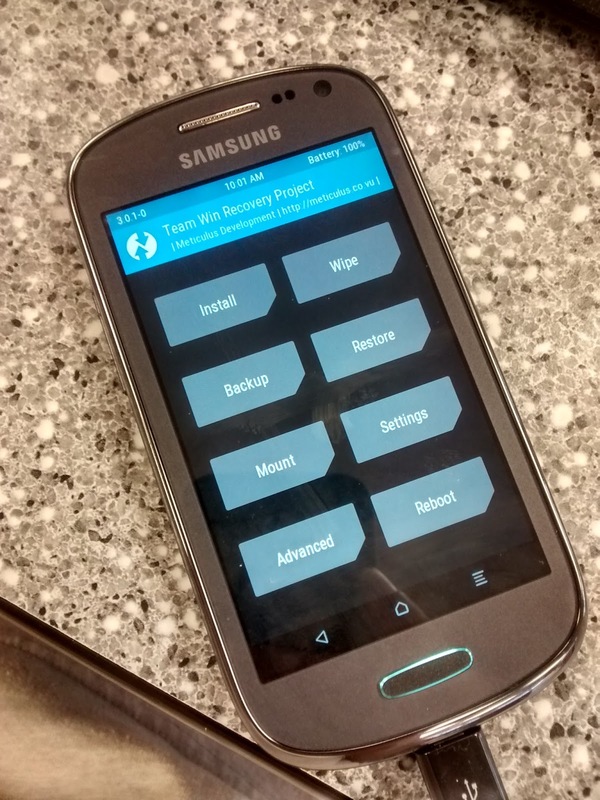 I must have missed it before but it IS supported in TWRP. The new default pixel format reported by fb0 works but it looks horrible. Perhaps I have something misconfigured in that format but by forcing RGB_565 it works perfect. I have not had time to test this extensively. Everything seems to be configured properly. The right partitions are listed and mountable. No extraneous warning or errors reported but this needs to be tested and I probably won't have time for a while. So, if any one would like to try it out and report any problems. It would be appreciated.